SVC is a Cambodian wildlife conservation organization dedicated to sustaining Cambodia’s wildlife and habitats through community-based ecotourism and direct conservation activity. 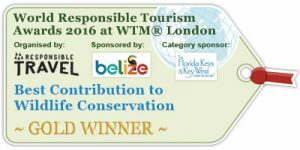 We partner with Wildlife Conservation Society Cambodia (WCS) in some of the country’s most vulnerable habitats and protected areas; our work has won numerous global, regional and local awards, including winning the Gold Medal in 2016 at the World Responsible Tourism Awards for Best Contribution to Wildlife Conservation. Our work directly contributes to the population growth and stability of some of the world’s most critically endangered species, a reduction in habitat loss and the creation of sustainable livelihoods and communities. Contributes earnings to communities from ecotourism, providing sustainable livelihoods away from hunting and deforestation. Ties a ‘Conservation Contribution’ from each client to sightings of key species. This money is for community development and gives direct incentives to not hunt protected wildlife and to preserve habitat. Supports essential conservation activities including nest protection for endangered large birds, and supplementary feeding for Critically Endangered vultures. 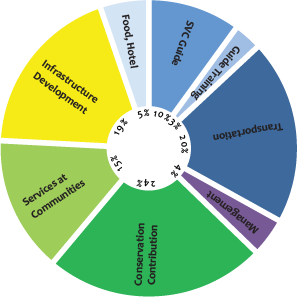 Builds ecotourism infrastructure, such as community ecolodges, solar power, hides, feeding and ranger stations, which bring further revenue to communities. Our model, in collaboration with the communities and WCS, is completely unique, creating a virtuous circle of conservation, community development and happy travelers! Conservation through community-based ecotourism is at the heart of our model, mission and vision. Bringing sustainable livelihoods to communities through birding and wildlife ecotourism is a major contributor to the conservation of habitats and species in some of Cambodia’s most vulnerable areas. SVC funds $60,000 per year to support major bird nest protection program in Preah Vihear. Since 2015, SVC has been working with Wildlife Conservation Society Cambodia (WCS) on this vital project to protect large critically-endangered birds. Understanding that educating children about their environment was essential for sustainable development, alongside the model of conservation through community based ecotourism, in 2014 we implemented a youth Environmental Education Program in and around the ecotourism community areas.